In March of 2016, I had the amazing opportunity to join Shire Pharmaceuticals as we launched a new business unit. We all traveled to Orlando for our National Sales Meeting and I had the chance to hear Paul Newman’s daughter, Clea, speak to our company. This was the first time I had heard of the SeriousFun Children’s Network, and I knew at that moment I wanted to get involved. I am a working mom with two children. I have a son who is 20 and a daughter who is 16. From the time they were 8 years old they have traveled every summer to sleep-away camp, which has been such a meaningful part of their growing up. Each year, the excitement builds for my children and our family as camp approaches. We look forward to them being with their friends and having those unique camp experiences that build character, strength and independence, while teaching resilience and expanding their social network. Sitting in that large hall in Orlando and hearing how many children with chronic or life-threatening illnesses are unable to go to camp hit me. I knew at that moment I wanted to be involved. I wanted to help other children experience what my family has taken for granted for the years my children went to camp. The pure experience of camp. Being chosen as a representative from Shire to spend a week at the Double H Ranch this summer was a life changing experience. I was a volunteer counselor in the Muskrat Cabin, with 7 to 9-year-old boys. Being able to watch the boys over the week, all of whom had differing illnesses, grow and support each other is what makes this volunteer experience so impactful. I was able to assist them on the road to discovering new experiences, and they were not being defined by their illness along the way. Some of my favorite times of the day at camp were seeing how energized the boys were to start their day, and how excited they were to share their special memories when we gathered together at the end of the day. Encouraging the boys to try new experiences that they never thought they could and seeing the smiles on their faces are only a few reasons my time spent at Double H Ranch was so meaningful. One of my favorite memories at camp was when one of our campers returned to the cabin after a visit to the infirmary. His cabin mates had been so concerned for him. He was able to attend The Great Escape with the cabin, and everyone was so happy to have their friend back. They all wanted to ride the rides with him. 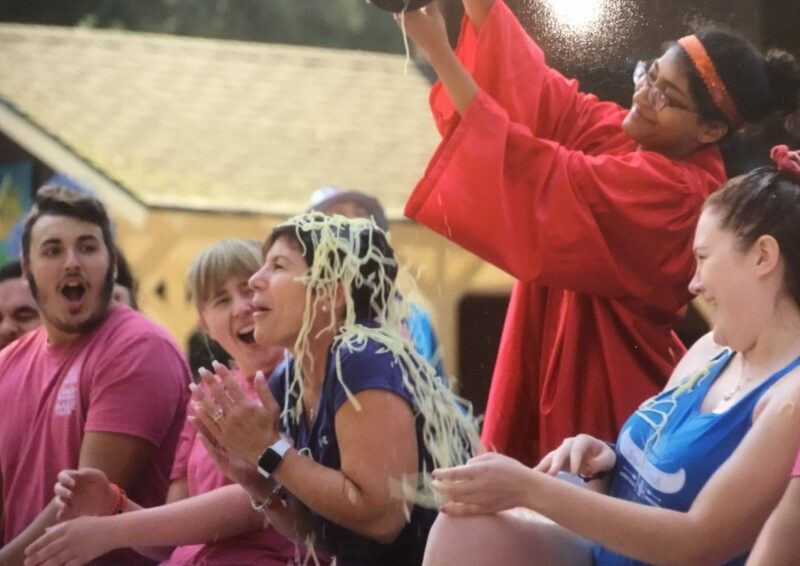 Another time on the ropes course, campers were cheering on a boy with Muscular Dystrophy and helping to encourage him to keep going – even when he didn’t think his legs could take him one more step. Every day throughout camp, there were examples of children helping and encouraging each other. Even playing Four Square outside of the cabin showed me how each camper included others. On the last night of camp, watching the children get up on stage during the Talent Show and participate was such an inspiration and a show of courage and inclusivity among everyone at Double H. While camp holds many special memories for me, one of the most beautiful was the Wish Boat Ceremony. Helping the campers write their wish, then to watch as we set them off into the lake, was beautiful and meaningful. It brought everyone from the week together, regardless of their cabin or age group. 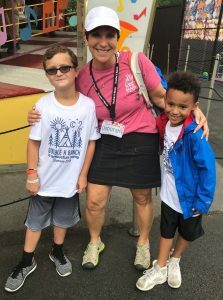 Having the opportunity to volunteer at Double H made me realize that it is possible to put aside all the things that “clog” our daily lives and focus on something that is more important: the happiness that being at camp brings to a child who might not otherwise be able to go. 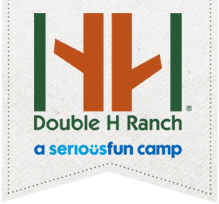 Double H Ranch is an amazing example of how to bring a child’s dream alive to experience camp while in a safe, healthy and lovingly inclusive environment. Come join the fun! Whether you have a day, weekend or an entire summer – Double H Ranch offers a variety of volunteer opportunities. Learn more and apply online!